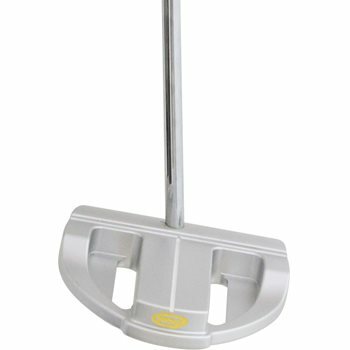 • 500 gram clubhead which was 100 percent precision CNC milled from 6061 aircraft-grade aluminum. • 20 degree upward cut on the C shaped Groove edges are able to grip the ball’s surface and lift the ball out of its resting place. • Yes putters achieve forward roll quickly, instead of skidding, skipping then spinning, before settling into a forward roll. • A milled slot behind the putter’s face has a thermoplastic polyurethane insert that captures absorbs vibration for an exceptional feel. • Tungsten weight pad placed in the sole helps achieve perfect weight balance.